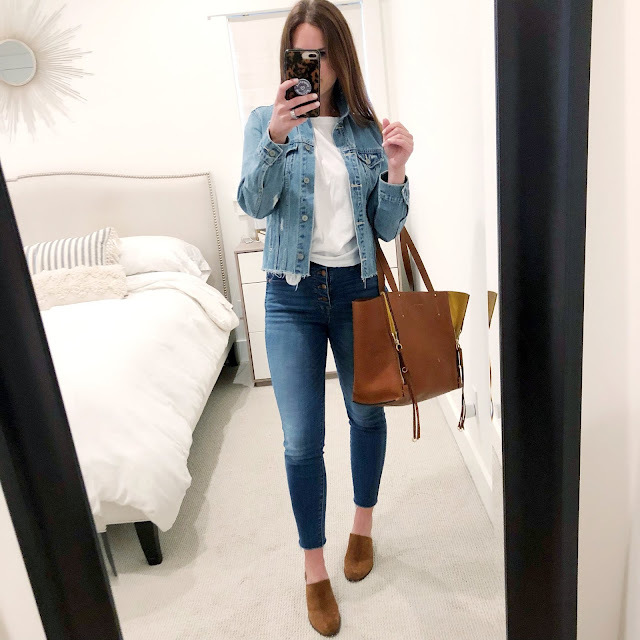 jillgg's good life (for less) | a west michigan style blog: six ways to style jeans + a white tee! six ways to style jeans + a white tee! 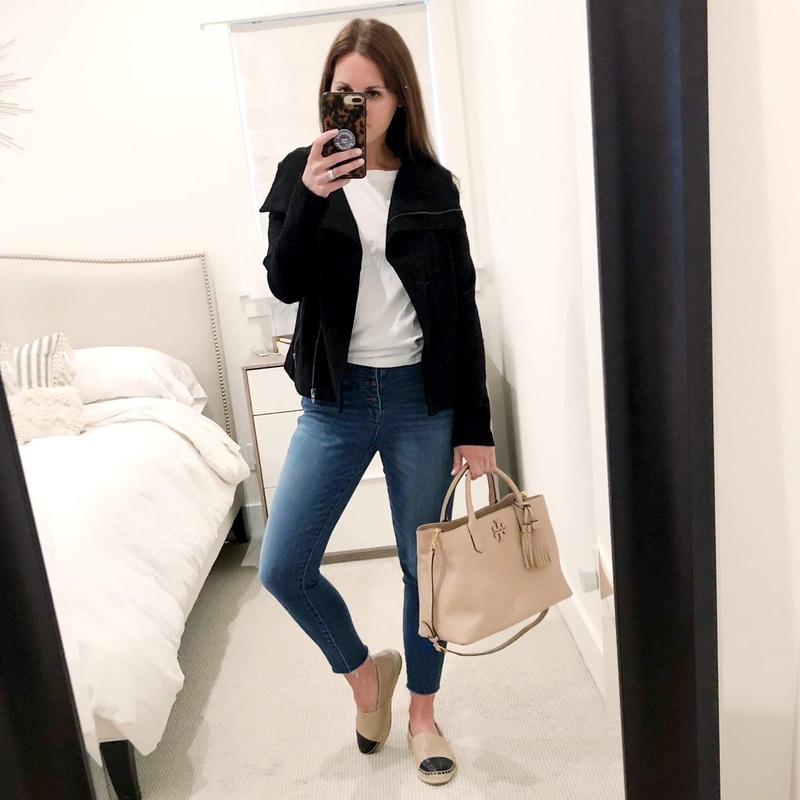 I'm back today with ANOTHER fun 6 WAYS TO STYLE post! I love pulling these posts together so much. 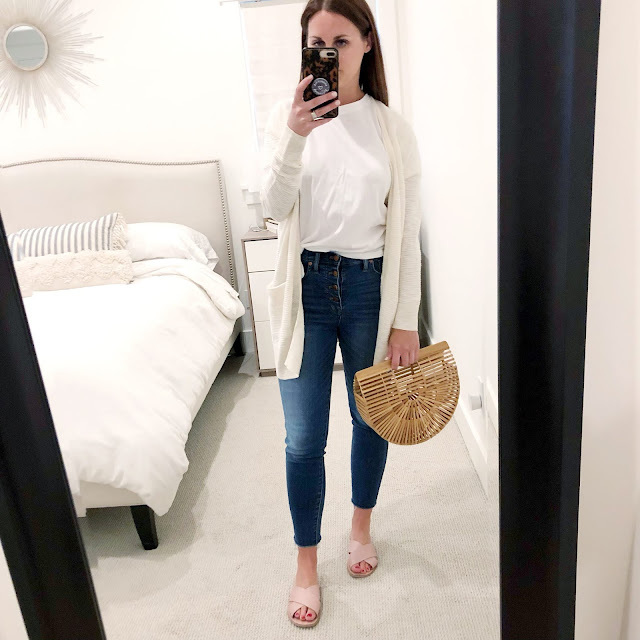 It's such a fun creative way to get out of an outfit rut and try some new things. 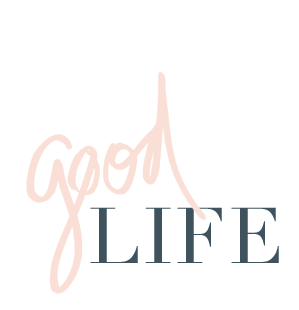 Plus the entire reason for these posts is to take what I already own and really make it work in new and exciting ways. 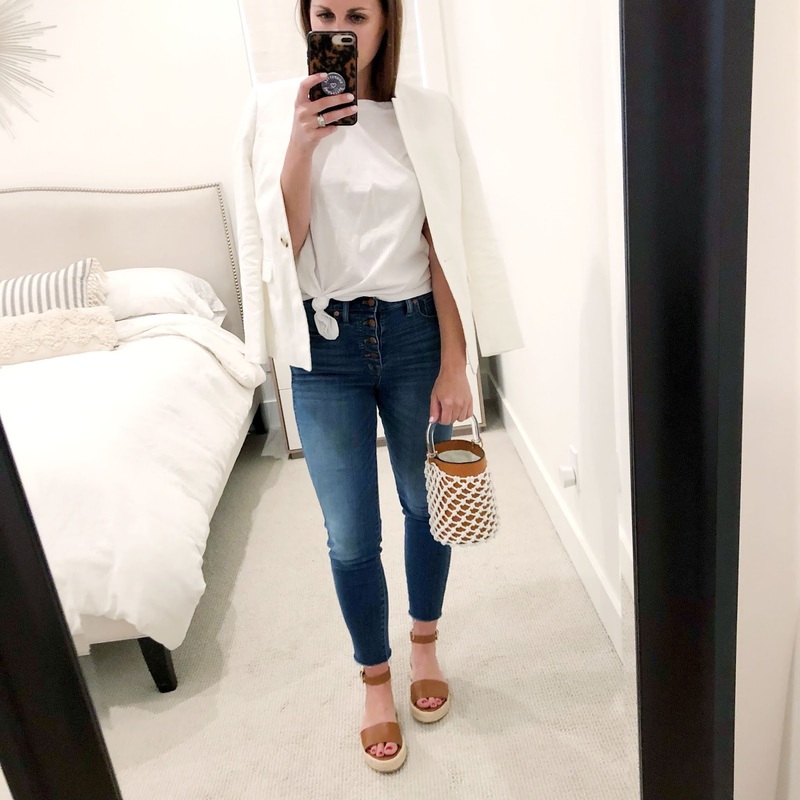 These posts are all about SHOPPING YOUR CLOSET and remembering that while new clothes are FUN - they aren't always necessary to look cute and stay stylish. It's all about getting creative! 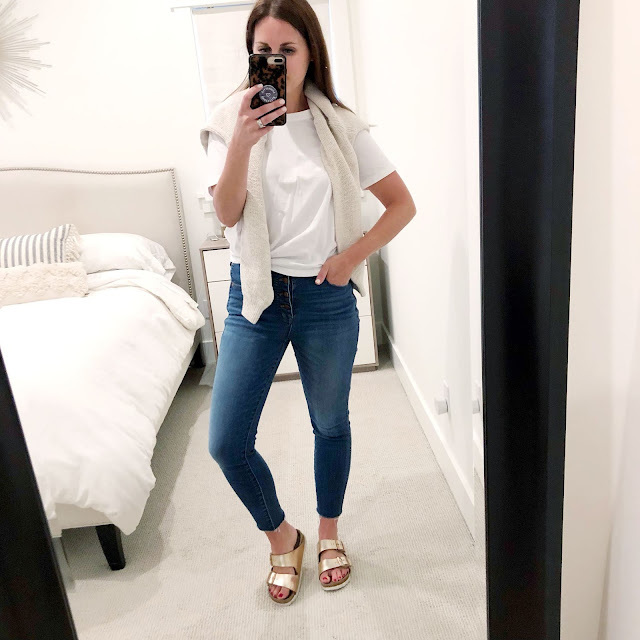 One of my favorite outfit combos is just jeans and a white tee - it's so easy, so comfortable and really it's a great combo for showing your personal style. Whether you like a crewneck tee, a v-neck tee, an oversized tee or a little tie front tee (like this one! it's only $22!) these outfits will work! Same for jeans... go with a straight jean, a skinny jean, even a denim skirt or denim shorts - the options are endless! Then I simply layered on different shoes, jackets, lightweight layers and bags to give each look it's own vibe. You could literally wear the same tee and jeans all week and no one would notice because each outfit looks so similar! 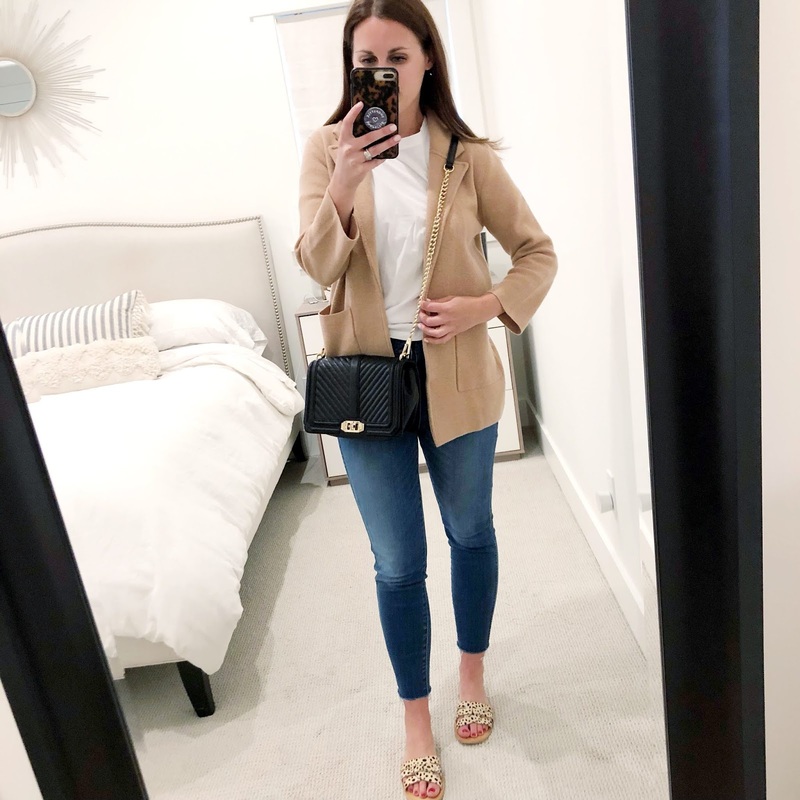 And I mean, I am always for rewearing pieces... that's a total mom-hack. 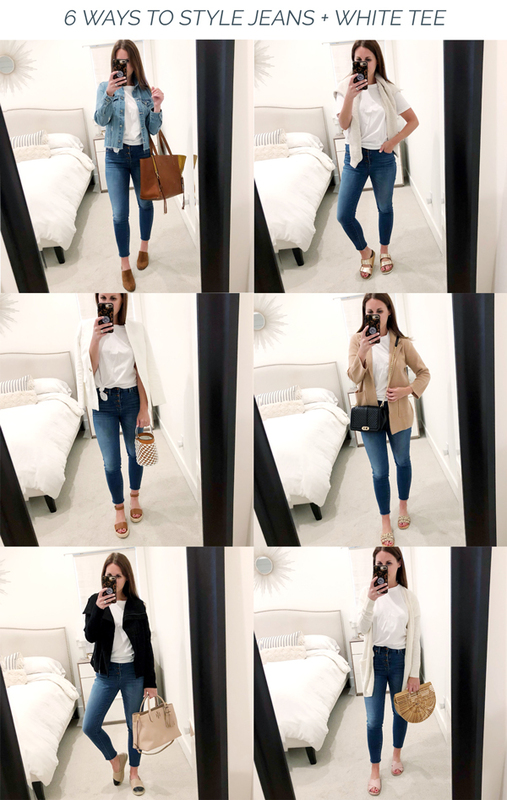 Keep reading for why I love each of these outfits... and also check back later today to my IGTV to see the full try on videos of these outfits!